I find it to be extremely unfortunate timing that I was trekking across the Atlantic Ocean and recovering from jet lag during the Colorado Avalanche’s first time sending three players to the All-Star game since the 2003-2004 season, but watching the hockey club’s top line and their dominating presence made me feel right at home despite being in a different bed and a different continent. 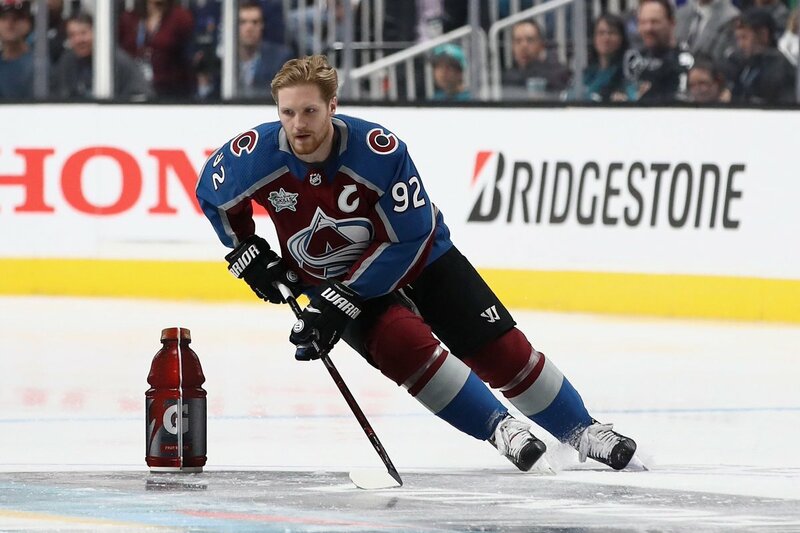 Unfortunately, Nathan MacKinnon sustained a foot injury during a recent game against the Minnesota Wild and couldn’t participate as a player despite being voted captain of the Central Division. Luckily, he still got to take the time to fully participate in any way he could (including showing up in the first place after a barrage of players backing out for various reasons). He showed a spark of personality from the bench while supporting women’s hockey in the process – something really refreshing from a pretty predictable event. Can I just propose that the Avalanche social media team start a MacKinnon for Jack Adams 2019 campaign? Speaking of campaigns, Gabe Landeskog made it clear that his successful Last Men In campaign was well-deserved with a hat trick against the Pacific Division. After breaking his NHL career record for scoring this season (he has 29 goals in 50 games where before he had only ever scored 26 goals), having the opportunity to show his chemistry with Mikko Rantanen to people who may not pay attention to the Western Conference most of the time gave me a happy distraction from our slump leading up to the All-Star break. Mikko Rantanen is simply an elite ray of sunshine. This is all a premier opportunity to have fun and work with the media as a player without bracing yourself for sweaty locker room interviews about recent disappointments. It’s clear to see that he brings out the best in his linemates after two years together on and off the ice. Personally, I’m curious to see what came of him wielding a t-shirt gun in JT Brown’s direction, but in all of his shenanigans he embodies the positive energy of the Avs as a whole without much effort. He’s certainly an example of their skill: his four goals and two assists this weekend were nothing out of the ordinary and hint at him continuing his great pace this season. Thanks for a good time, boys. Here’s to the next six months of me watching Avalanche games at 2am in Switzerland wrapped up in my burgundy and blue throw blanket. More importantly, here’s to many more All-Star Weekend appearances in the future.